Aston Villa are said to be leading the race to sign former England international John Terry. The 36-year-old is available on a Bosman this summer following his decision to decline a fresh contract at Chelsea. Terry was aware that his opportunities would be restricted until Antonio Conte, and he eventually decided to end his 22-year association in west London in order to pursue a fresh challenge elsewhere. Initially it had been suggested that Terry could favour a switch nearly the English capital, but according to BBC Sport, he is now weighing up offers from the Championship with Aston Villa predictably heading the queue. Steve Bruce was eyeing the England job earlier last summer, and plans were that Terry would be offered a coaching role with the Three Lions. However, this was not to be, and Bruce has since taken over the head coach at Villa Park as he looks to take the famous old club back to the Premier League. Terry had a round of golf with Bruce in Portugal earlier in the month, and there is a suggestion that the veteran may have held talks over a possible switch to Midlands. 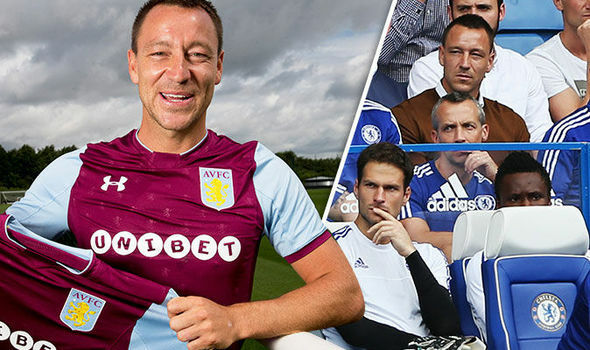 Bruce believes his current crop of players lack the necessary characters while ,a href="http://www.express.co.uk/sport/football/824234/John-Terry-Aston-Villa-Tr...">playing against the big clubs, and Terry would provide influence in the squad. One thing stopping Terry from dropping divisions would be the interest from the Premier League with both Swansea City and Bournemouth willing to match his £100,000 a week wage demands. Turkish giants Galatasaray remain another mouth-watering prospect for the experienced campaigner, should he want to increase his bank balance further during the latter stages of his career. Terry is likely to remain in the professional game for at least two more seasons, and there is the additional probability of enjoying the luxury of a huge payday in the China or the United States.